Emily served in numerous positions with the firm for over ten years before she joined the firm as an associate attorney in 2017. She received a Bachelor of Science degree in Business with a concentration in Finance from NC State University and she earned her Juris Doctor from Campbell University Norman Adrian Wiggins School of Law. 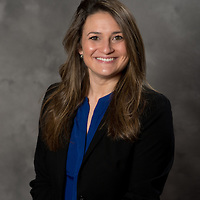 During her time at Campbell, Emily held several leadership positions with a number of student organizations including serving as president of the Christian Legal Society. She also enjoyed several pro bono projects with other members of the Trusts, Estate Settlements and Tax Law Society and the Campbell Law Innocence Project. Emily has traveled extensively and enjoys meeting new people and seeing new places. In her free time, Emily enjoys spending time with friends and family, traveling, and hanging out with her Mini Australian Sheppard, Riley.